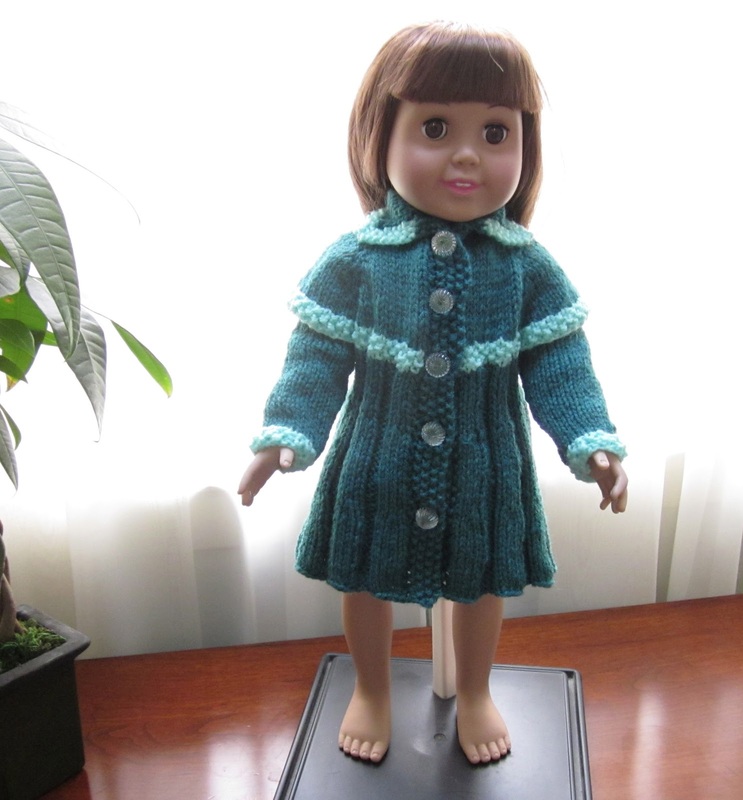 I finished assembling this vintage knit doll coat yesterday. I found this pattern last summer in the Columbia Minerava Behive Yarns Manual for Knitting and Crochet-Volume 730 and wrote about discovering the pattern book in my post of July 24, 2011. It is my favorite vintage doll outfit to date. I vaguely remember seeing a picture of myself as a toddler in a similar styled coat. I continue to expand my collection of vintage doll clothes. This coat is number 15 in the collection. The power point presentation of the others in the collection is on my website. The body of this coat is knit in one piece from the neck down with raglan sleeve openings knit to the yoke making it incredibly simple to knit. The sleeves are knit separately and sewn into the raglan openings on the wrong side of the coat. The collar is added separately. The yarn is Patons Astra from my stash and is 100% acrylic and machine washable and dryable making it a great choice for doll clothes that children can use to play. I used a U.S. size 5 needle to achieve a gauge of 6 stitches to the inch. The original pattern calls for Columbia-Minerva Calypso Germantown Knitting Worsted and size 4 needles. The buttons that I used are also vintage. I found them at an antique fair several years ago. They fit both the color and the design of this coat beautifully. 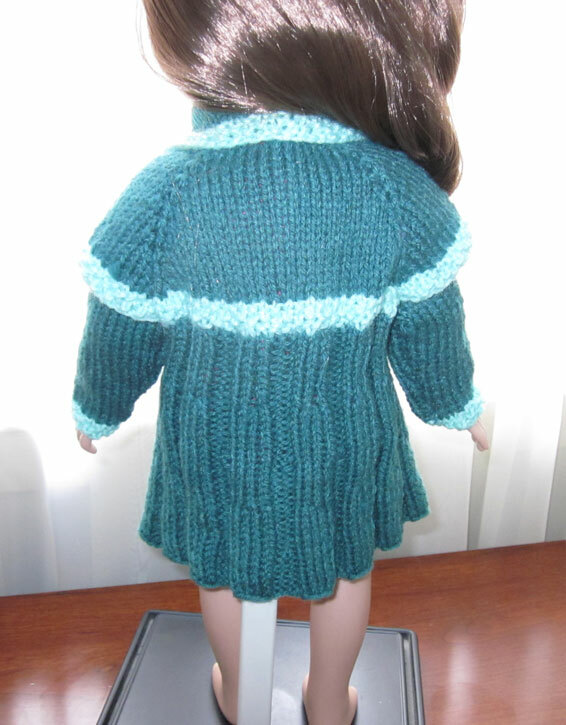 This coat is designed for an 18 inch doll. The one pictured here is from the Springfield collection purchased with a 40% off coupon at the local Jo Ann Fabric Store although I’m sure it will fit an American Girl Doll nicely. I’m considering offering this style coat as a custom order in my Etsy shop in the future.